If your goal is to make well-informed decisions when buying or selling your home, you’ve come to the right place. Enjoy your visit and please contact me if there is anything I can do to make your next home buying or home selling experience the best it can be. And I promise, that you will never be pressured, period. Just here to help any way that I can. Previously used as a beauty salon and tax office, Bring your vision with no work. This location is a beautiful mix use home with office on first floor with one half bath, 2 bedroom 2 full 1 half bath. Exquisite restoration. This gem in historic sought after Fells Point is a beauty to behold. Words cannot effectively describe the contemporary and gorgeous finishes used in this home. From the open floor plan, the main floor flows onto the enclosed back yard. Hardwood floors, 2 bedrooms on the 2nd floor with 2 bathrooms. The master bedroom on the 3rd floor has it's own private deck that overlooks the city. Beautiful bathroom and big closets. You won't find anything like this in the city. Close to the harbor, restaurants and the best of city living. Come and tour this home today. Great opportunity to purchase a home in Eastwood for well under $100K. Located on the county side of Eastwood. Lower property taxes than your City neighbors. Ideally located close to shopping in the Dundalk area as well as walking Distance to Highlandtown and a quick drive to Canton and Fells Point in the city. INVESTOR ALERT! Property is being sold AS IS including contents. Please be sure to include As Is addendum with all offers. Seller will not pay for any repairs. Property could be a good rental or rehab once renovated. Property is near John Hopkins University. Cantons newest community - Brewers Green! 12 custom & modern townhomes that are 17ft wide, 4 levels & 2,700 +/- total square feet. Loaded with premium finishes and situated on a quiet street. (This unit is a 2 car garage / 3BR) w/ option in other units of 1 car garage & 4BR layout. Customize your kitchen & baths. Dozens of options & upgrades. $10,000 towards closing cost using preferred title & lender. Buyer pays all transfer taxes. One of a kind, end of group townhome in Rogers Forge which overlooks the park and is actually a court, so no thru traffic. Hardwoods on Main and Top Floor. Dricore subflooring system installed in basement makes it feel like a wood floor not concrete. This 3 bed, 1.5 bath home enjoy a front porch and a back deck. See the pictures (posted soon) to understand why this is a true find,nothing else like this in the area. Home has been freshly painted and professionally cleaned, enjoy the pine wood floors. Stairs are carpetted though wood floors exist below. A Chairlift can be sold or removed with the property, currently installed on the main/2nd floor stairs. Home is set in the historic neighborhood of Rogers Forge and has a voluntary (contribution) to the HOA ranging from $30 - $90 per year, covenants en force regardless. Parking in court (on street) or in the back via the alley that borders the park. Recently renovated bathroom and kitchen (2016). Natural Gas Stove, HVAC and Hot Water. Mostly finished basement. If you are searching for a home in Rogers Forge where you can sit and relax on your back deck and enjoy the tree's of the park, walk you dog or play with you kids, or to simply entertain friends and family, this is the home for you! Space is what will you will find in this beautiful 4 Bed, 3 Full Bath house. Close to Rt 1 and 695 for easy access to shopping and entertainment. Detached 2 car garage, large front porch, large backyard and spacious bedrooms make this a must see. Well maintained condo in secure elevator building. Features include eat in kitchen, large living and dining room with sliders to balcony that backs to trees, master suite with walk in closet and full bath, second bedroom with laminate flooring. unit comes with TWO additional storage units, and One private parking space! Conveniently located with easy access to 695. Do you want city living but tucked away in quiet Oasis to call home? Then look no further bin 823 is your home. City is at your footsteps but once inside you can enjoy peace and quiet of your home, while enjoying sunsets. 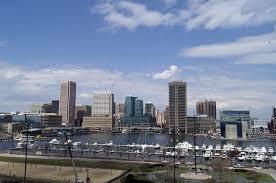 This unit has breath taking views of ever changing landscape of baltimore city and water. Steps from Latrobe park, National park(Fort Mchenry). This location has a private access to Route 95 which makes commuting to and from baltimore a breeze. Pride of homeownership shows in this well maintained home with carefully selected finishes by original owners. Schedule a tour and you wont be disappointed.